Common Projects does it best with their Original Achilles Low model that they brought into the market in 2004. Like any other well-designed object this low-top lace-up sneaker has stood the test of time since it first hit store shelves 13 years ago. Common Projects founders Flavio Girolami and Peter Poopat’s design carries all the necessities we look for in an all-purpose, everyday high-end sneaker: top-notch construction, durable materials, and the ability to look good with our favorite jeans, skirts or even with our dressier pants. The black . Read more.. 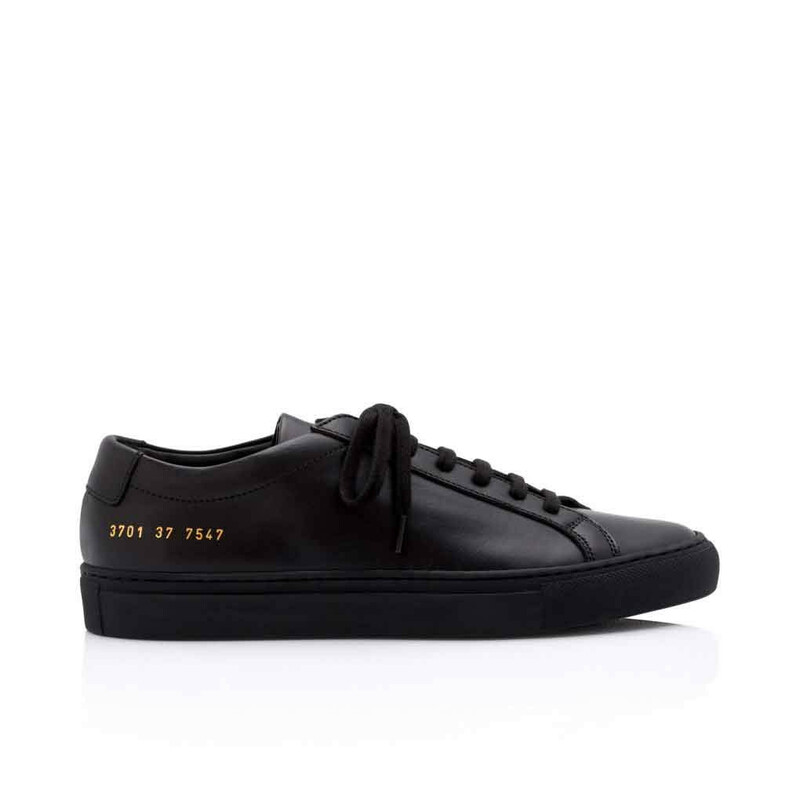 The black version of Common Projects Achilles Low, stamped with the label's gold serial number. 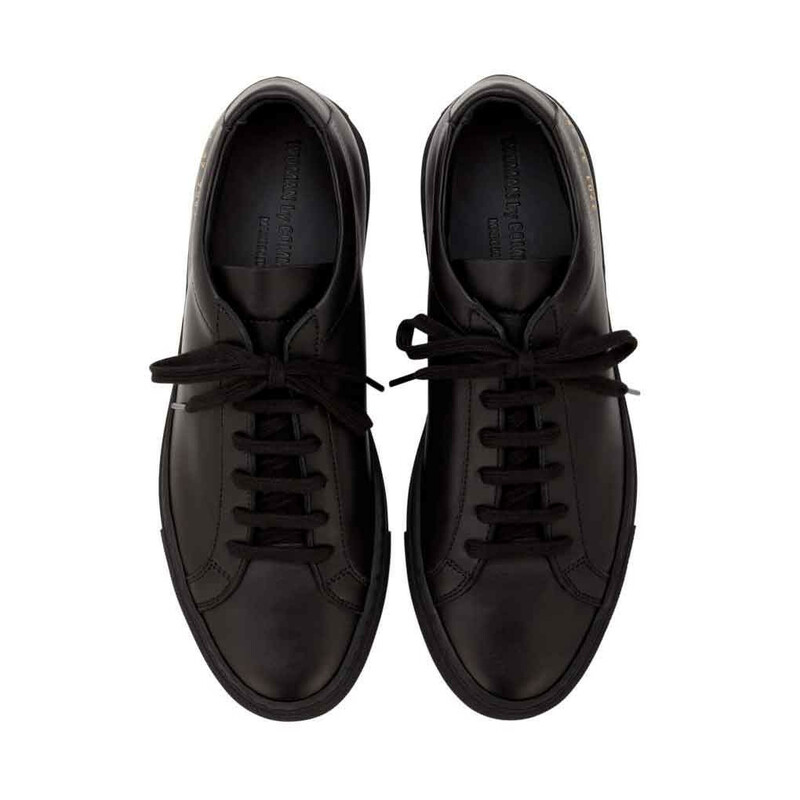 These sneakers have gained a cult status thanks to their minimalist design and superior quality. 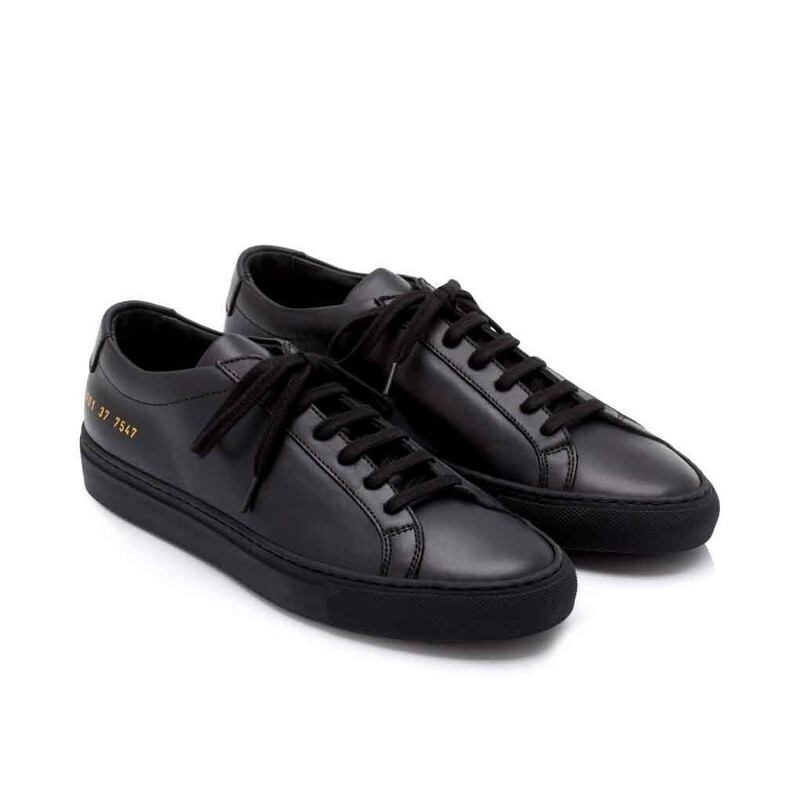 1 x Achilles Low Black was added to your shopping bag. 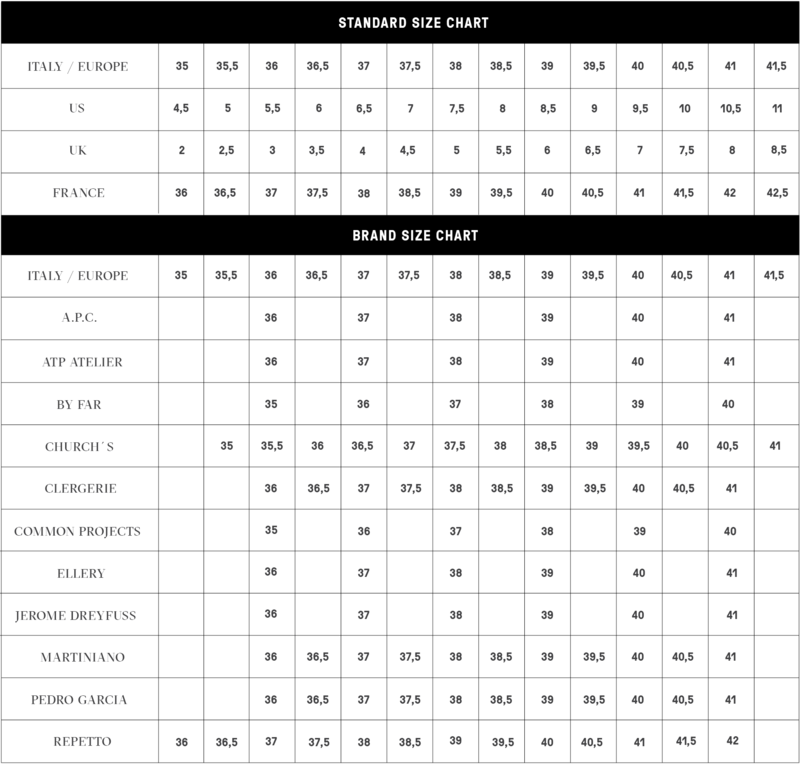 1 x Achilles Low Black was added to your wishlist.